What Is a Chipotle Pepper? 1 What Is Chipotle Seasoning? A chipotle pepper is basically a smoked jalapeno pepper. Chipotles have a distinct smoky and sweet flavor, and there are two main types. While they are most commonly used in Mexican and Tex-Mex cooking, they can be added to all types of dishes. Chipotles can also be purchased in many forms: canned, dried, pickled and other forms. A chipotle pepper is a smoked jalapeño. They are usually two to four inches long and are tan to dark-brown in color. According to an article at GourmetSleuth.com, about one fifth of Mexico’s jalapeno crop is made into chipotles. They are also sometimes called “chile ahumado,” the site says. They are known for their smoky, but sweet flavor. Chipotles are considered “medium” on the hotness scale, according to GourmetSleuth.com, but much of a jalapeno’s heat is retained when processed into chipotles. Chipotles date back to the Aztec civilization in an area of northern Mexico. According to GourmetSleuth.com, the Aztecs began smoking jalapenos because their thick skin made them difficult to dry and they rotted rather quickly. So to preserve the jalapenos so that they could be stored for a long period of time, the Aztecs began “smoke drying” the peppers using the same method that they had used for meat. Chipotles are common ingredients of Mexican and American Tex-Mex cuisine. There are two types of chipotle peppers: chile ahumado and morita. Chile ahumado is considered the authentic chipotle. This type has a strong smoky flavor and is sometimes called “tipico” or “chile meco,” according to GourmetSleuth.com. Morita are most often found in the United States. This type is not smoked for as long as the chile ahumado, so the flavor is not as intense, and it is much cheaper to process. GourmetSleuth.com says chipotles sold in the U.S. often are labeled “tipico,” but are actually moritas. Both types of chipotle peppers are widely used in Mexican and Tex-Mex dishes. Most commonly, chipotles are used to flavor salsas, stews, soups and sauces for meats and vegetables. They can be used to make dips, salad dressings, marinades and rubs. They can be eaten on sandwiches or inside a quesadilla, taco or burrito. In recent years, chipotles have been used in trendy fusion-type cuisine, where they are added to dishes such as mashed potatoes and desserts. In the United States, chipotles are most often sold canned in adobo, a tomato sauce made with vinegar and other spices. Adobo can also be added to many of the recipes containing chipotles, or it can be used separately from the chipotles. 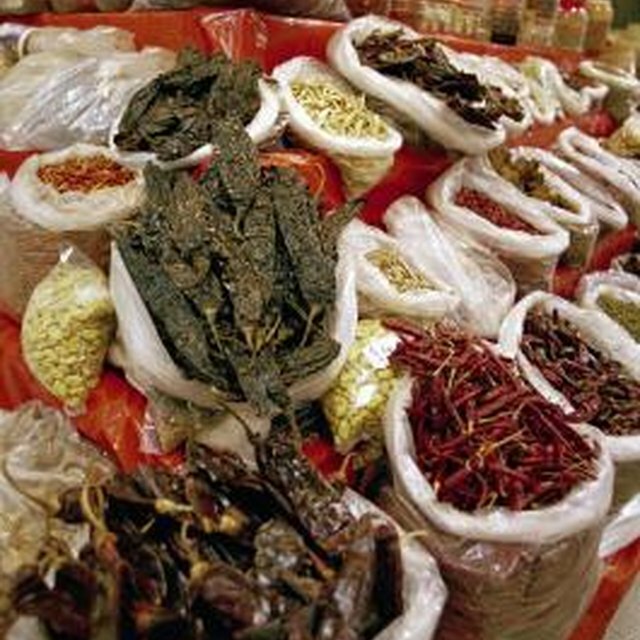 Chipotles can also be purchased pickled, dried, whole or diced. Powdered chipotles, chipotle-flavored salt and chipotle paste are also common products made with these peppers. Many other pre-packaged chipotle-flavored products--such as mayonnaise, tortilla chips and others--are also available. Can I Substitute Mustard for Moutarde de Meaux?